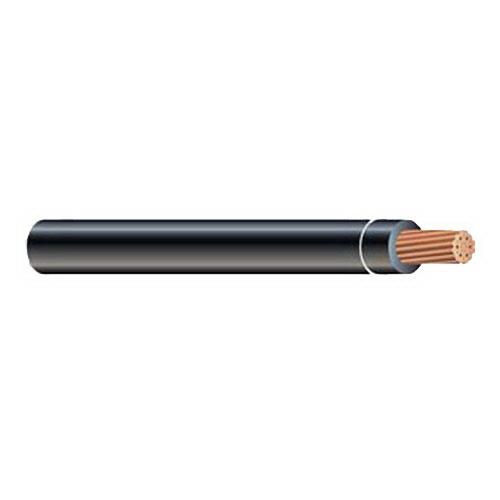 600-KCMIL Copper THHN cable in black color, features 0.07-Inch PVC insulation and 0.009-Inch nylon jacket. PVC Insulation of this cable is heat, moisture, gasoline, oil and sunlight-resistant. It incorporates SIM Technology® for easier pulling. Cable has voltage rating of 600-Volts and current rating of 475-Amps at 90 deg C. It withstands temperature rating of 90 deg C in dry conditions. This 2000-ft cable comes in master reel. It finds application in feeders, branch circuits, conduits, raceways and cable trays. Cable is UL listed, CSA certified, NEMA rated, RoHS/REACH compliant and meets all ASTM standards.